Our challenge as Civil 3D users and Civil 3D Standards managers is often to proactively discover inventive ways to make the imperfect productive. The recent AutoCAD Civil 3D 2018.2 Update seems to have broken parts of the Attach Reference Template dialog box and Manage Referenced Settings panel functionality. Whoop-de-do. I do admit that I’m more interested than most in this new and improved Civil 3D 2018 command and its potential to help us better manage Civil 3D customization for productivity. I acknowledge that it is rare to be enthralled at enabling Civil 3D users to manage the Civil Styles and resources in custom Civil 3D Templates. Someone should. The Autodesk Civil 3D Forums questions on the Reference Template topic support the lack of enthusiasm. Can you say, “Zzzzzz?” CAD Managers and Users aren’t interested in tools that don’t work (or don’t appear to work consistently) even if the intended goal of the tool is admirable. In case you didn’t notice, you should recognize that the Style Import tool in every Civil 3D release is also flakey about some Style and Settings import specifics. Each copy of the Framework for Civil 3D comes with a detailed heads up about these limitations. I won’t belabor those details here. I’m not here to whine but to make wine. Ready or not – The far from perfect Reference Template tools are better than the alternative. Style Chaos is counterproductive to Civil 3D usage and unquestionably expensive. Only Style Scarcity is more counterproductive and expensive. If you already employ a single Reference Template file or a simple Reference Template stack, as is supported in Civil 2017+ Reference Template capability you won’t notice a difference. Whew! If you want to employ a simple Reference Template stack effectively, you probably want to read the existing post series on the topic. You might start with Civil 3D 2017 Template Reference Mania. To convert your drawings and project over to this simple and easy to implement Style management approach is pretty appealing. You get more consistent Styles and managed systematic Style updates that work. There are multiple public videos that demonstrate the basics on this page. The following video illustrates an easy way to implement a single Reference Template in a Civil 3D drawing and/or project. People often miss the point that you can employ different and multiple production and/or publication Reference Template resources. What is referenced is always a Civil 3D user choice. Like all references managing where the file(s) is referenced from is likewise important. This practical method gets us to a known good. It is more maintainable and more managed. “With your product I can at least make decisions about what I need and like without worrying about how to get through all the fussy details time and time again to get there. Ok, Dave. I’m sure I don’t want the whole 1st CAV at my doorstep if I call 911, but thanks for the thought. If you already configured a 2018 Reference Template stack in your templates in the older 2018 and 2018.1 builds, it won’t break unless you want to change specifics in the stack definition. Oh, bother. You can still easily update the contents of the Reference Template resource files which is the most important benefit. Be aware that removing specific referenced resources from the Reference Template resource files will not necessarily remove them from a drawing(s). Style Purge and Purge are essential cleanup tools you must put to use. Do not trust the Style leftovers imported from the Reference Template tool. Specifically, the Civil 3D 2018.2 Update code appears to have stopped remembering the individual Settings you make for each file in a Reference Template stack via the Manage Referenced Settings panels. 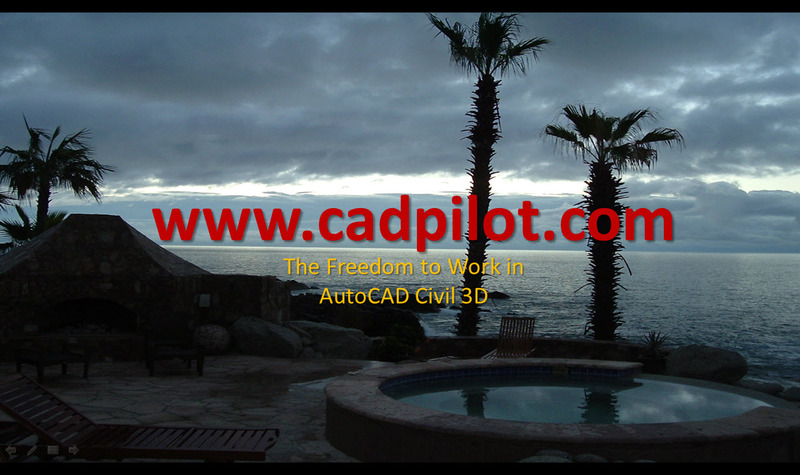 You want the Civil 3D Drawing Settings from here, the Styles from here and here, and the Layers, Blocks, and other AutoCAD stuff from there. This is annoying. The following short video reviews some important task advantages to the Multiple References in the Stack approach. A faster way to task-based templates is probably the obvious one. If you very carefully separate the Reference Template resources into different files and order the Reference Template stack appropriately, you can still successfully employ better managed Reference Templates in Civil 3D 2018. This certainly isn’t task for a Civil 3D novice, but the posts mentioned above might help. Template construction in Civil 3D is about managed and ordered details. It also appears you also need to check All the details in the Manage Referenced Settings panels for each reference from the bottom up in the stack. Put another way – Only the current state of the detailed settings are loaded when you Update them. Carefully, test the results.